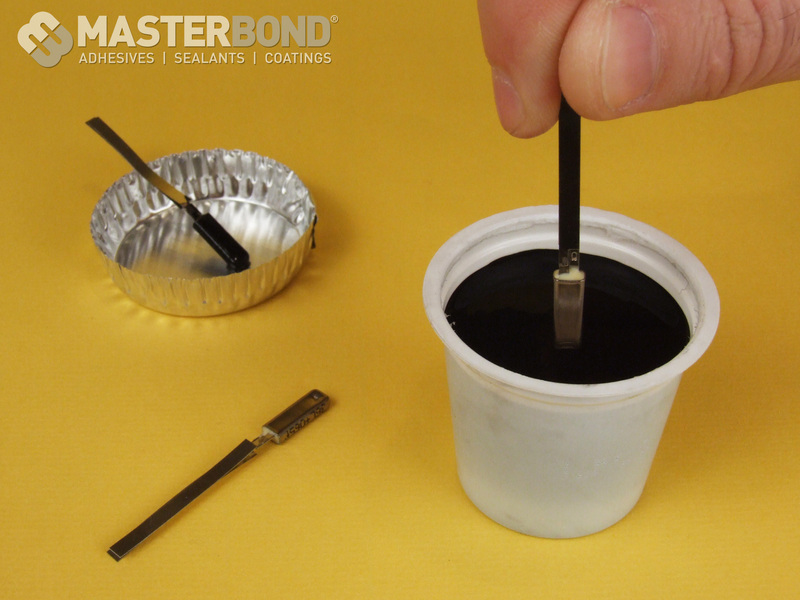 For applications demanding exceptional chemical resistance, especially to acids, fuels, and oils, Master Bond has developed EP21AR. Whether coating, lining, bonding or sealing, this two-component epoxy can withstand harsh, acidic environments, including prolonged immersion in 96-98% sulfuric acid and 36% hydrochloric acid for over a year. With a dielectric strength of 400 volts/mil, EP21AR is a durable and stable epoxy that is also a superb electrical insulator. Its coefficient of thermal expansion is 45-55 ppm/°C, and it is serviceable from -60°F to +275°F. It produces high strength, abrasion resistant bonds with a tensile strength over 10,000 psi, a shear strength exceeding 2,700 psi, and a compressive strength greater than 14,000 psi at 75°F. EP21AR is easy to use with a forgiving 2 to 1 mix ratio by weight, and a mixed viscosity of 10,000-15,000 cps. It is 100% reactive with no solvents or diluents and can be applied smoothly in any thickness. This epoxy has a working life of 45 to 55 minutes at ambient temperature for a 200 gram batch, and cures at room temperature or faster at elevated temperatures. It bonds well to a wide variety of substrates, including metals, glass, ceramics, cements, vulcanized rubbers, wood and many plastics. EP21AR is packaged in pint, quart, gallon and 5 gallon container kits. It is widely used in an array of industries, including oil and chemical processing, maintenance and repair, optics, metalworking, appliance, and electrical/electronic.